About 9 months ago I got a call from a Custom Home Builder I do work for. did in a condo at the Beach. He was contacted by her through a friend of a friend and I like this builder so I agreed to look at it. a hard working single woman that relocated from up North to Florida. wrong with it not counting other installation errors. 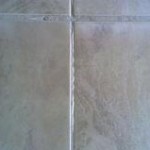 She was so upset at how the tile was installed and turned out and how the guy treated her at the end she had no clue what to do. 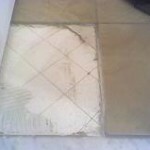 Since she bought the tile/material, she didn’t pay him for the labor since the job was disgusting. The “handyman” then threatened to take her to court and put a lien on her condo if she didn’t pay in cash. At that point I was furious and disgusted that someone could do this type of work to a nice woman like her, so I agreed to help her out. Codes Board and he told me to have her take him to small claims court. From there I compiled a list of problems with pictures and gave it to her. pictures backing up the bad work. 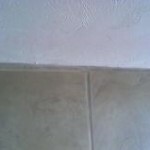 at the tile pictures and list Ceramictec compiled for her. 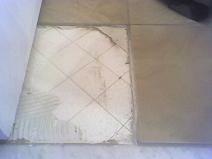 He (the handyman) needed to pay for removal of the tile and replacement of material & tile lost. He didn’t need to pay for the labor since she didn’t pay him. The handyman also didn’t have Insurance that he told the management he had. Below you will see pictures with list of problems I gave her. the job look less then professional and not acceptable. 1.) 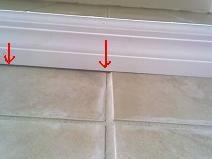 Floor was laid out incorrectly and not square to the walls in your house. 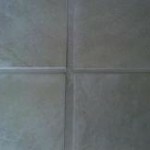 he did not know how to square a floor or layout tile work. 2.) 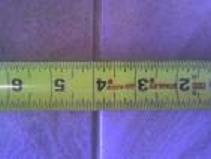 This therefore made all cuts throughout your place cut at angles gaining in size and incorrect. 3.) The main room of your place walls are square. he should have laid out off this area. 4.) 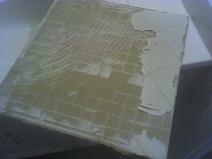 Cuts “in the U shape” at doors and corners are pieced together are not professionally cut. 5.) 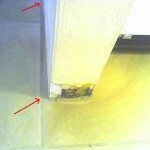 Cuts at door jambs are too wide and not cut correctly. 8.) 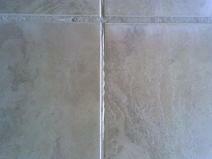 Grout was not properly grouted and joints have a lot of divots and low spots. 11.) 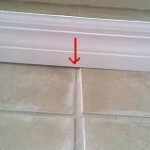 Your wood baseboard will not cover several short cut tile along the wall. 12.) 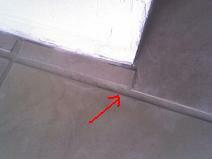 Cuts along wall and other places vary in sizes. they should be all the same. 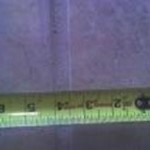 this is due to (his) the crooked floor. 13.) 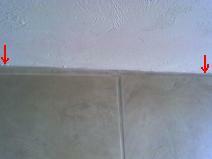 Tile in bathroom set on gloss tile did not bond and it is a 1/2″ higher then main floor. 14.) 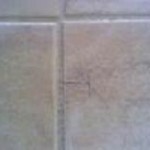 Bathroom floor tile should have been removed prior to tiling. this created an elevated tile area. 15.) 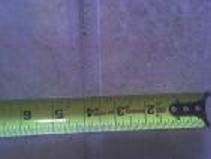 Improper thinset was used to set porcelain tile. 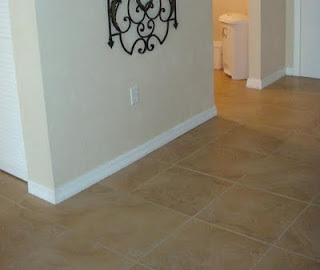 no bond to the porcelain tile. 16.) I have taken (18) pictures to prove these statements. 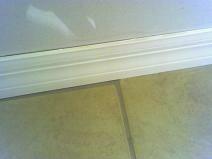 here is the finished job after we did it the correct way. I want you to know how much I appreciate everything you have done for me and the beauty you created in my home. My floors were a nightmare and I cannot thank you enough for all of your hard work, dependability and professionalism. The pictures before and after speak for themselves. wow that's horrible what some contractors do for work and think it's acceptable. 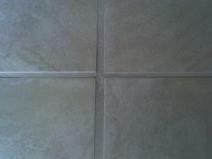 glad to see there are good tile contractors like you still left in Florida. I’m always amazed that an installer won’t take the extra few hours to do a job properly the first time, thereby saving many hours and dollars in the long run. 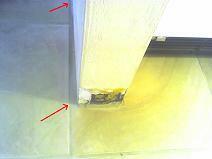 Of course, it also looked as if the previous installer didn’t have the skill to do the job anyway. Brian, nice work as usual. 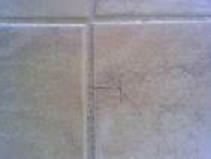 Your the “Robin Hood ” of the tile industry. lol. 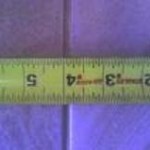 I came across your site after a google search on Handyman, and why not to hire them. I am a contractor in Minnesota, and recently the area seems to have been flooded with tons of “Handymen”. Some of which are people who lost there day job, and now trying to make a living on craigslist.com. 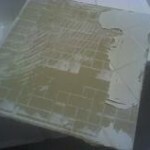 Anybody can go to HomeDepot and get the materials, but it takes many years to perfect this craft. I have walked in on a job very similar to this done in a local coffee shop. The owner was in such a rush to get the shop open, that he hired the first man available…. Unfortunately, the opening date was delayed 2 weeks to the lack of better judgment. 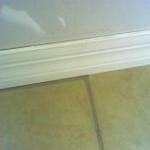 75% of the 1000+ sq ft job was removed and reinstalled! Thanks to you and all of the other honest contractors out there. It is ashamed so many customers look at things on low price without doing some research first to see how it is done right. I do know some very good handymen/women out there, but your correct with the recent flood of unskilled, out of work handy-persons and tile setters out there that will grab any job trying to make a buck. 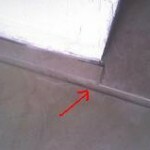 Previous post: Achieving a Flat Tiling Surface…. 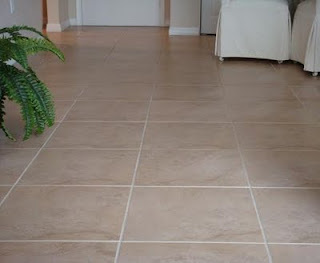 Next post: Travertine Tile Installation in Florida…..